Meet our Team. Watch our Crew at Work. 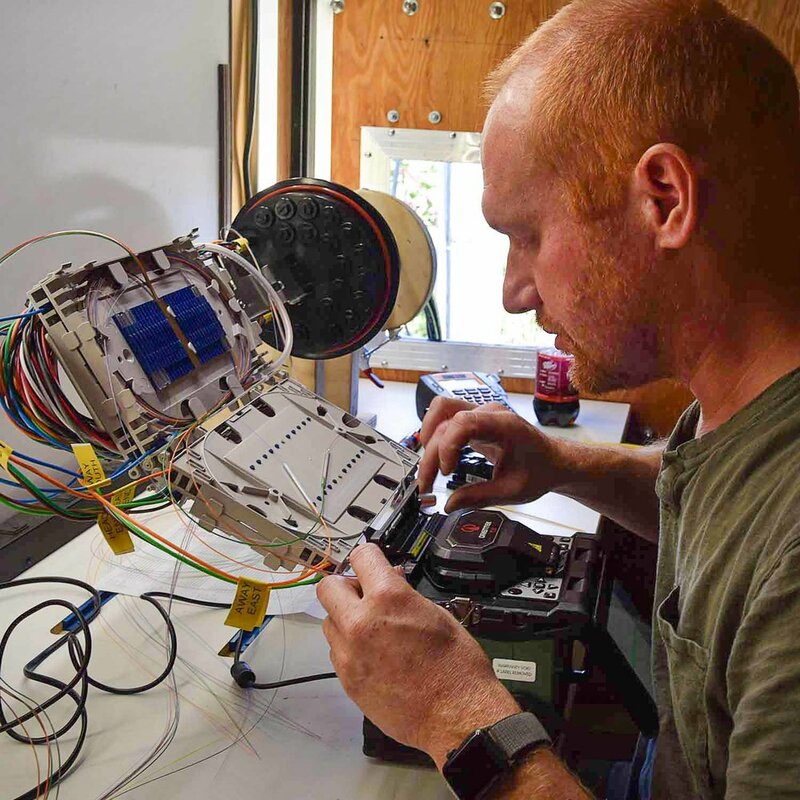 Adam founded Fiber Connect, LLC in January 2014, as the Massachusetts Broadband Institute (MBI) was finishing the fiber optic middle mile construction in Western Massachusetts. Prior to founding Fiber Connect, Adam spent 3 years in security technologies growing the offerings of Berkshire-based A-1 Security. He spent 6 years at Entertainment Design Workshop where as CTO he was responsible for the successful design and implementation of bleeding-edge network and computer systems in support digital effects for major Hollywood productions. Adam's introduction to Information Technologies was in 1996 while attending Novell certification training at Connecticut Computer Services (CCS). While at CCS, Adam was asked to join the team designing and servicing enterprise networks for CCS clients such as James River Corporation, Loctite and many of the large Connecticut banking institutions as well as the state's nursing facilities. Adam and his family live in Monterey, MA. Steph serves as the first touch point for potential and existing Fiber Connect subscribers. You may first meet her on a site visit to your premise as she gathers necessary data for Fiber Connect's technicians. She is also the go-to person for scheduling appointments and for handling customer sign ups. It is her voice that you'll hear when you phone Fiber Connect with customer service questions. Steph lives in Southfield, MA. with her boyfriend, her dog Oakley and her cat Baloo. 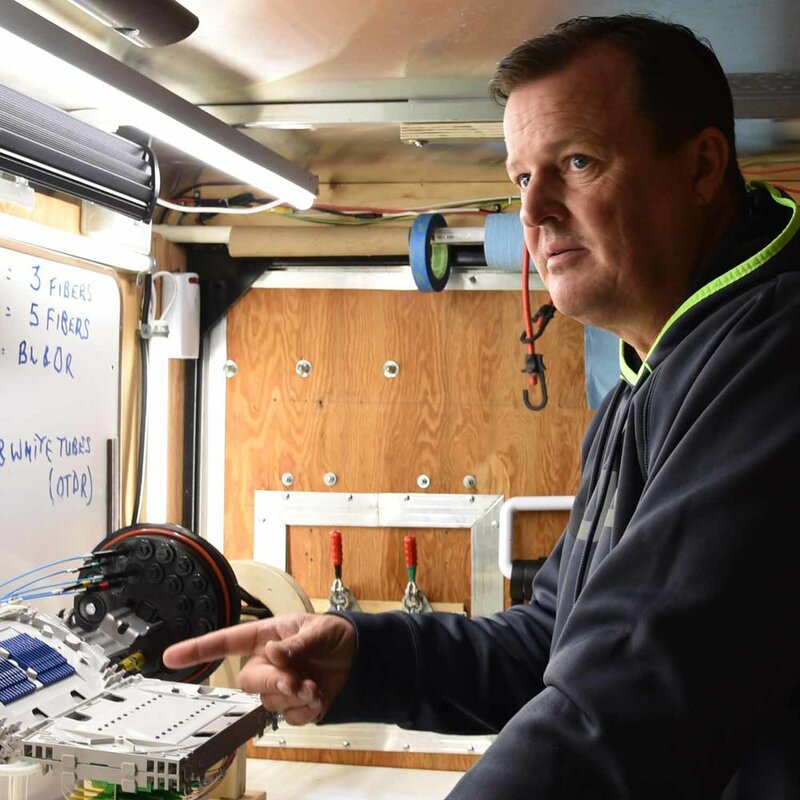 John provides remote and on-site technical assistance to Fiber Connect subscribers. He'll help with setting up and connecting your devices to Fiber Connect's network, with maximizing your connection speeds, with enabling your devices to stream content via the internet (even helping with establishing your accounts with streaming services) and generally trouble-shooting problems with your PC or MAC. John believes that solving problems is an opportunity to explain and show subscribers how it all works. After all, he started building computers when he was 10 years old and holds a degree in Information Technology/Network Engineering from the New England Institute of Technology. John lives in Ashley Falls, MA.